Beside the MSR Windburner and Jetboil Flash that Three Points of the Compass pulled from the gear boxes to play with recently, I already have four other, mostly smaller, gas stoves that I could consider for my long walk beginning in April. There are two from Primus- a multifuel stove and a remote gas canister stove, also a couple of wee little canister top gas stoves. This stove has been taken on many car camping trip over the years as my family grew up but has never accompanied me on any more than the odd day hike. The Primus Omnifuel (8000 BTU) is an almost bomb proof, well made stove that can also be disassembled in the field if necessary to service or repair. While it is actually a multi-fuel stove, capable of running on petrol, paraffin or even diesel, I have tended to use Coleman Fuel (White Gas) which is a very pure 100% liquid petroleum naphtha. If not Coleman Fuel, then I have run it on canister gas, with which it works very well. 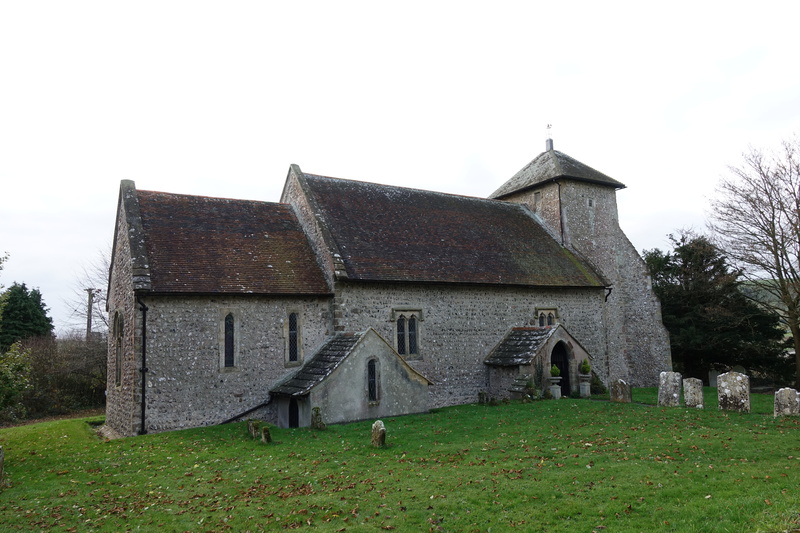 It is a very stable, low to the ground stove with three wide pot supports. It is possible to get a fine simmer or roaring flame with the control knob, it sounds like a rocket when fully on. 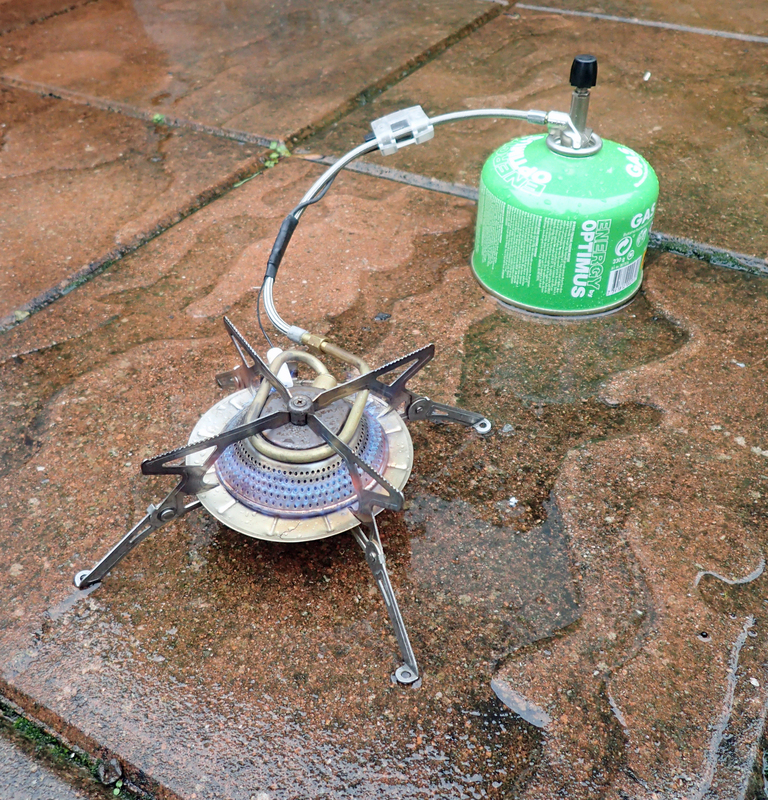 This type of stove should NEVER be used inside a tent as the fireball occasionally produced can be ‘interesting’. There are newer, more compact versions of this stove available now but mine works fine. While I have no idea what the new versions weigh, mine weighs a whopping 352g. It is a terrific stove but I don’t think this monster will be coming with me on my long walk later this year. 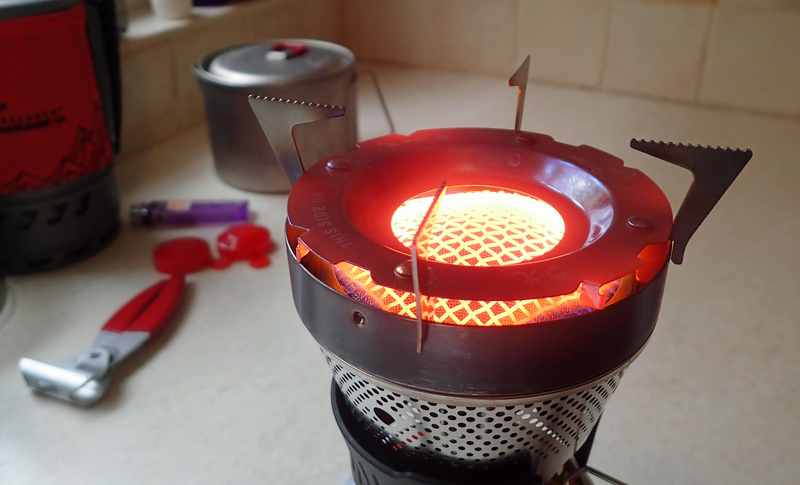 My other Primus stove, that has been taken on similar car camping trips, a couple of cycling jaunts and a lone canoe trip, is the Primus Gravity 3279 (10500 BTU). This is a slightly more spindly, less robust product than the Primus Omnifuel. Factors that are reflected in its lower weight of 261g. This despite it also having a preheat coil, four wide pot supports and a piezo ignition. The latter is as useless as all of these eventually are, every piezo ignition I have ever had has eventually failed. The stove has a good fine control knob and the legs can be pinned down to the ground if desired, though it is a very stable affair that will handle large and heavy pots. The legs on this stove fold up and it is a less bulky affair than the Omnifuel, however you could never says it packs small. This stove has always worked faultlessly for me and I have never felt the need to dispose of it despite it rarely seeing the light of day in recent years. There was/is also a Primus Gravity MF version that can burn multi-fuels, not the model shown here. Again, there are newer variants available today. While excellent products, I really want to keep the weight and bulk of my stove of choice down. 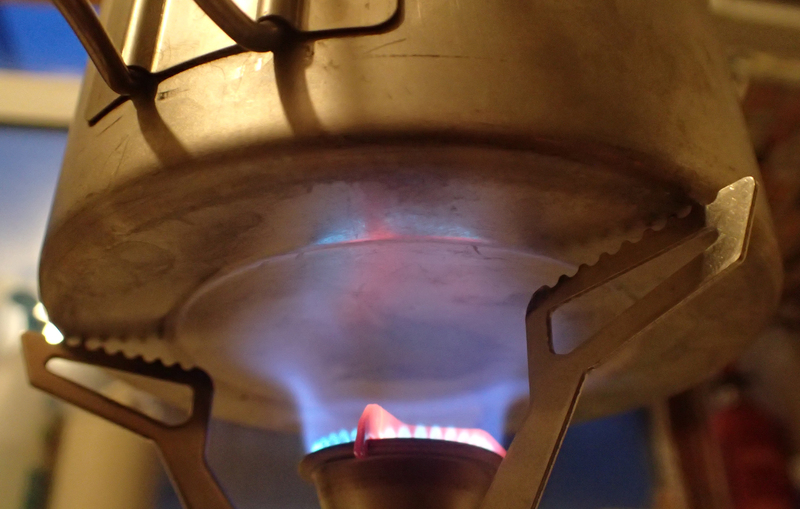 It was time for me to pull the smallest gas stoves I own from by gear boxes and see what they have to offer. MSR know their stuff when it comes to making good stoves. 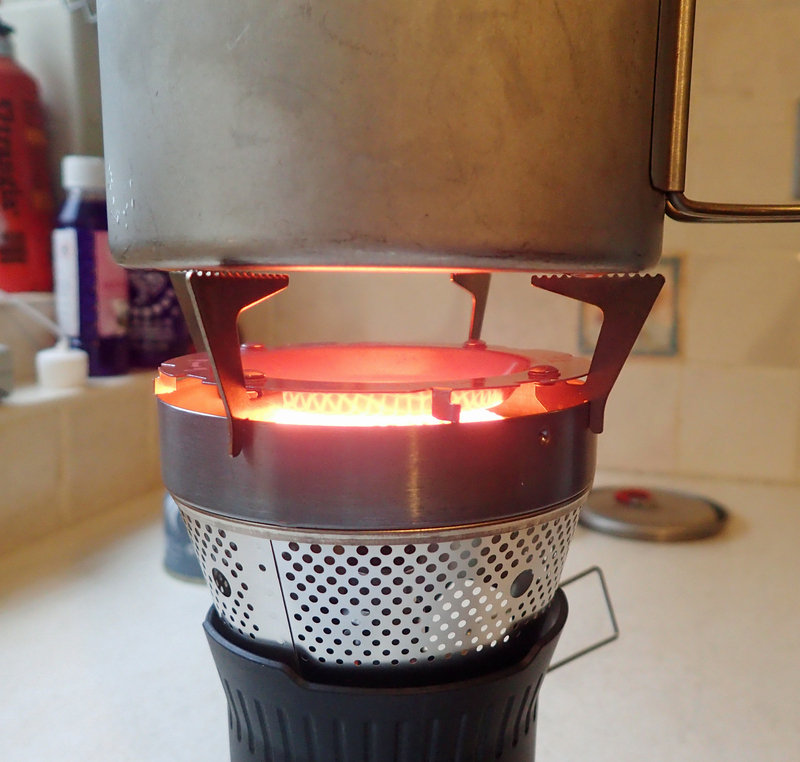 It is no surprise that I have one of their Pocket Rocket stoves. I held off for many years from buying the original Pocket Rocket. Not for any particular aversion, it was just that I was undecided as to whether to buy the MSR Micro Rocket instead. I dithered so long, that in the interim, MSR took the best features of each of their canister top stoves, combined them, and released the Pocket Rocket 2. 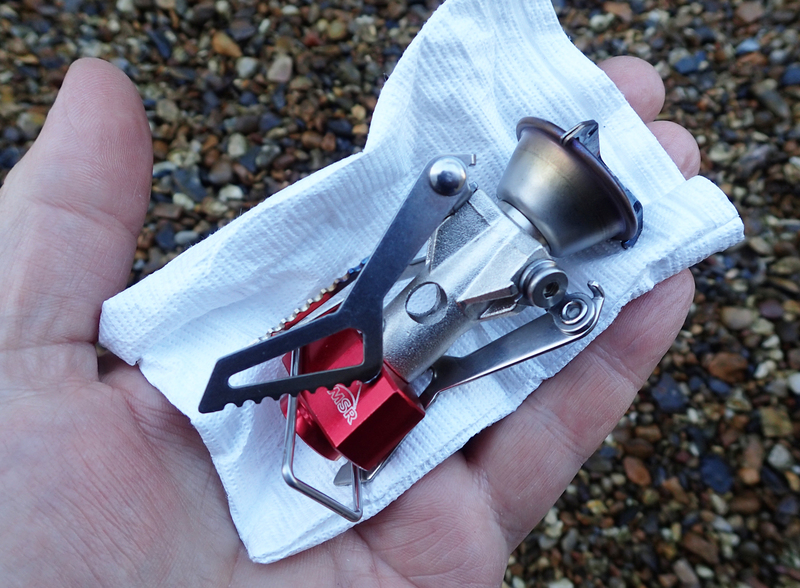 I purchased my Pocket Rocket 2 in 2016 so have had very little opportunity to put it to use, relying instead, on my various meths/alcohol stoves for my backpacking trips. That said, I have still managed to put it to use on a small number of occasions and have got on well with it. For someone who appreciates the unhurried silent manner of a meths stove, the apparent frantic haste that a canister stove such as this presents means a complete rethink on my setting up process. 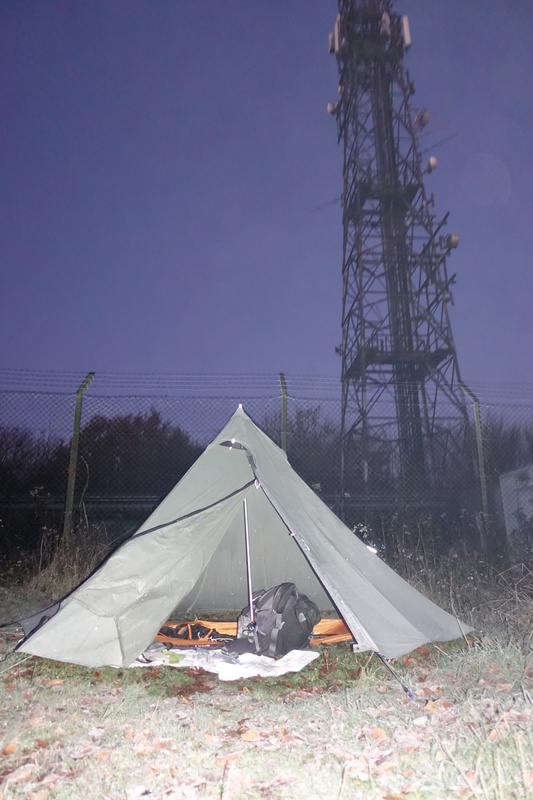 Normally, I can get to camp, drop the pack, select and clear my pitch, tent up. Then put a boil on to quietly do its thing to one side while I sort out sleeping mat and extract my quilt to allow it to decompress and pull the trail shoes off and let the feet breathe a little. By the time that is done, I have water reaching a boil ready for a hot drink. With a canister stove, it deserves and requires undivided attention. My favourite pan for some years has been the Evernew 900ml shallow pan. This wide bottom pan is a great size for one hiker and very suitable for the wide spread of flame from most meths stoves. 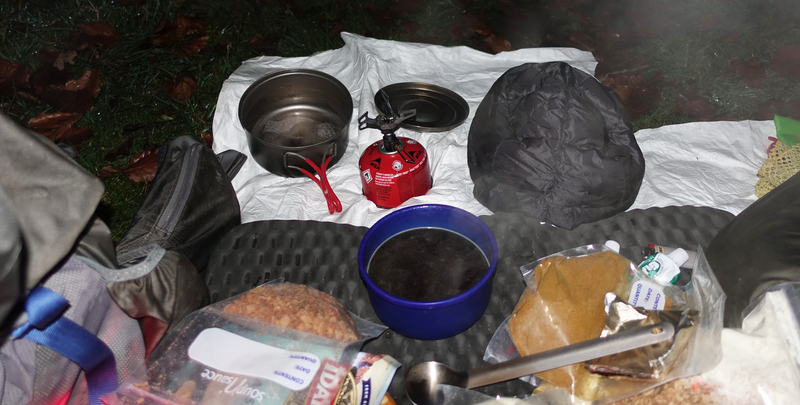 With the tighter, narrower flame pattern of the Pocket Rocket 2 stove, for no other reason than curiosity, I have looked at some choices of pan in my gear set that could prove more functional. 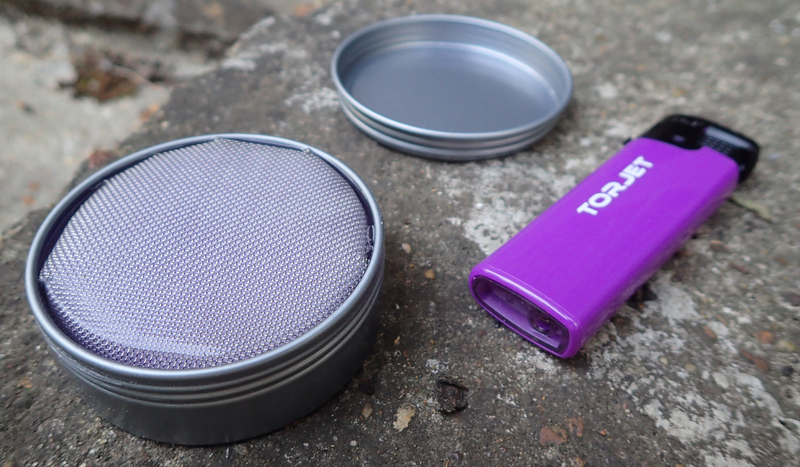 The 75g Pocket Rocket 2 comes with a handy little plastic holder with flip top lid, sized just right for the stove and provides great protection from knocks etc while in transit. However this holder alone weighs an additional 31g and reduces the practicality of packing the stove inside many pots or pans. Instead, I either wrap the stove in a small cloth, Lightload towel etc. or inside a little home made 1g tyvek baggie. 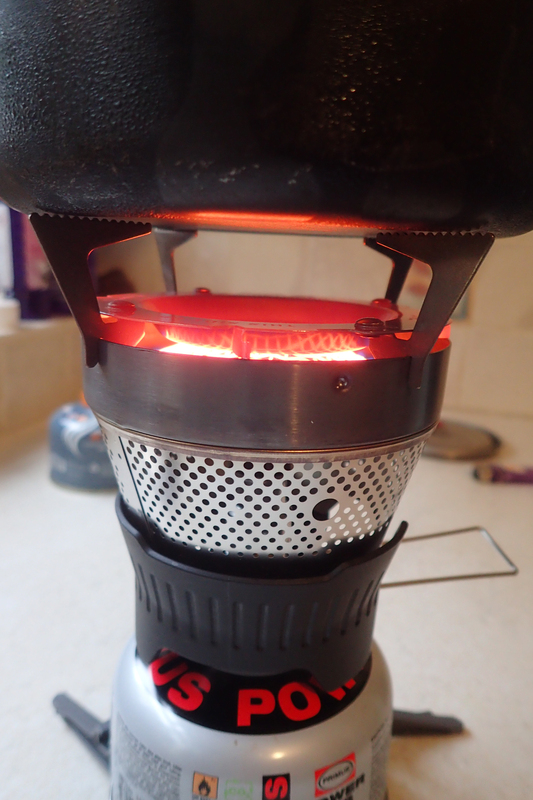 While the Pocket Rocket II is a pretty small piece of kit, I snapped up one of the Chinese made BRS 3000T stoves when I heard of them just to try one out. I could afford to take a punt on one of these as it cost me less than a tenner on eBay. 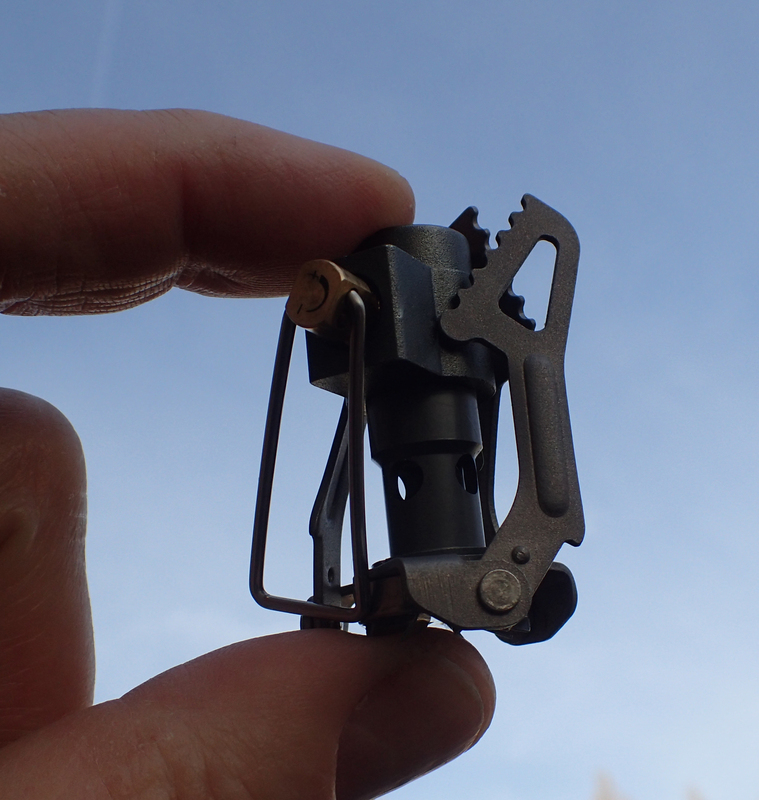 This is truly tiny stove measuring around 35mm x 50mm when folded or some 63mm x 90mm maximum width when unfolded, including the protruding wire valve control. I doubt that it is actually possible to get much smaller or much lighter than this and still be a functional item. The BRS 3000-T is advertised as being made of titanium, but there are other metals in its construction as well. The design is such that it weighs just 25g and it comes with a little nylon carrying pouch that adds a further 2g. The stove is perfect for carrying inside a titanium mug along with a small gas cartridge for midday hot drinks or food on day hikes. That said the pot supports on this ‘Bumblebee’ stove are pretty narrow and I have to take care to ensure my pots sit on it square. I am not over keen on using this stove with my wider pans. While the largest pot I use is around a litre, I wouldn’t like to use anything larger, or more accurately, heavier on the pot supports. 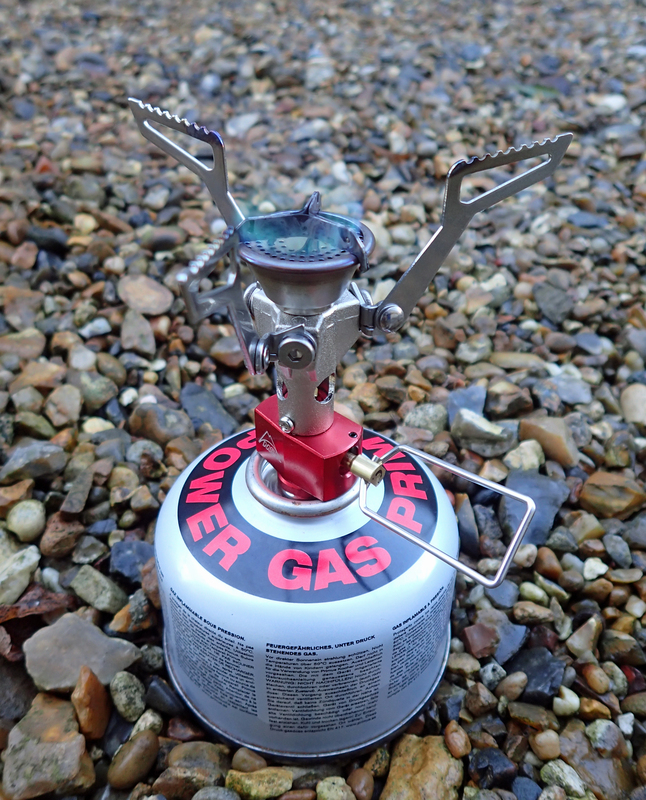 I am loathe to use it on longer, multi-day hikes but I am well aware that many hikers have used one of these stoves for weeks on end with no problems other than struggling to work with it in windier conditions. Some users have also experienced problems with the pot supports bending. I think the BRS 3000-T offers around 9200 BTU, it is advertised as giving out 2700W but works better and less frantically with less flame spilling up the sides of pots if not on full, which does, of course, mean a little longer to boil. But speed isn’t everything, hence my affection for meths/alcohol stoves over the years. 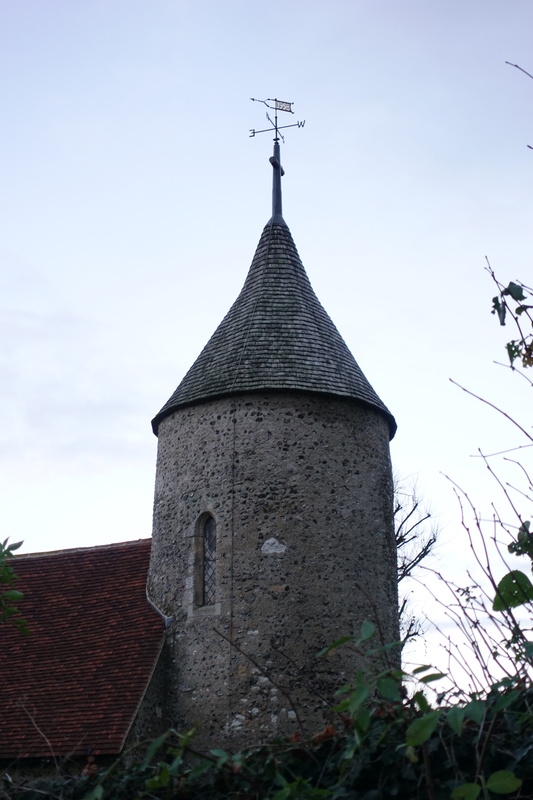 … or the MSR Windburner! This entry was posted in Cooking, Food, Gear, Uncategorized and tagged camping, gas, gear, stove on February 2, 2018 by Jools. 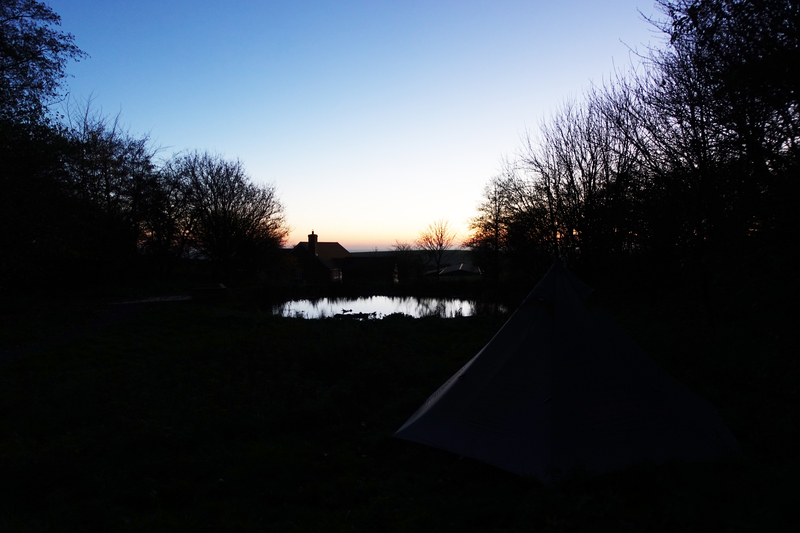 Following my recent shake down trip on the Icknield Way, I decided to abandon my long term favoured meths set up for cooking and return to gas. I used gas, or canister, stoves for quite a few years but mostly switched to meths (or alcohol) a decade or so ago for the unfussy, silent, simple set up that these cook kits provide. 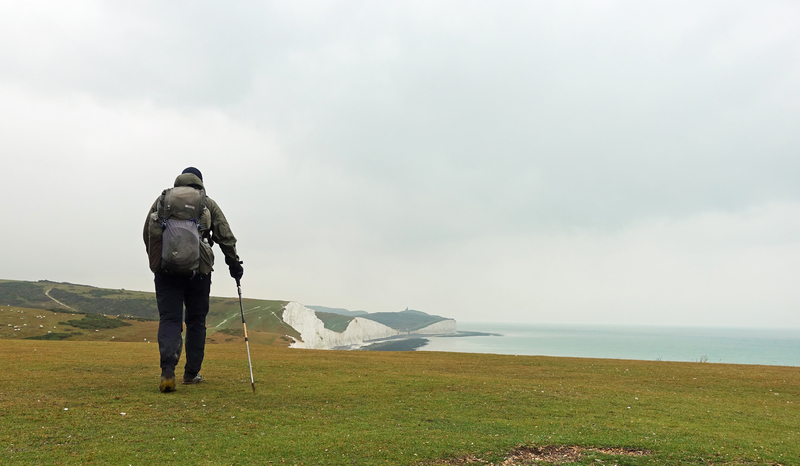 However I have to recognise that gas does work out the more efficient and lighter option over multi day hikes. 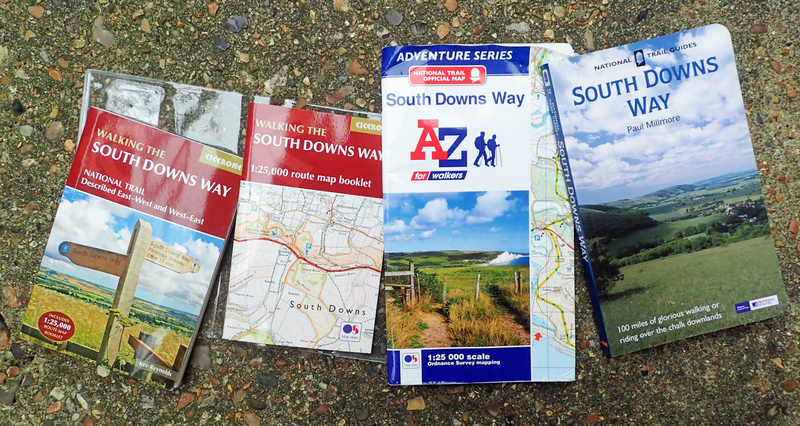 So for my Three Points of the Compass hike next year, I am looking at my gas options. 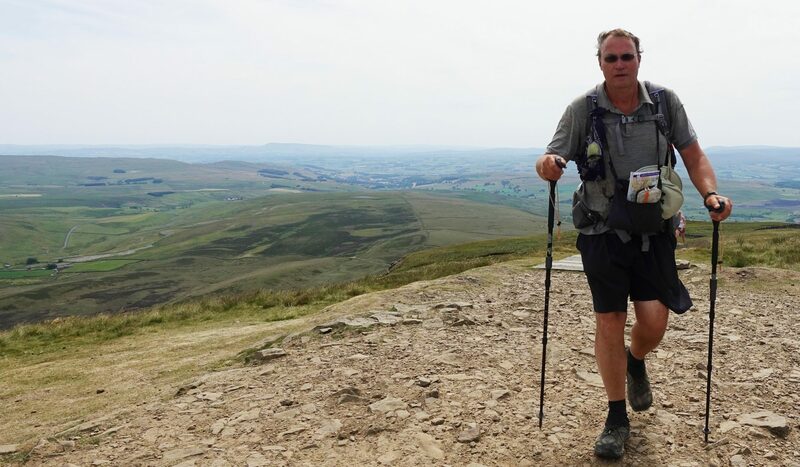 Not every option out there, instead I am mostly looking at gear that I already have but have not used much in recent years for one reason or another. 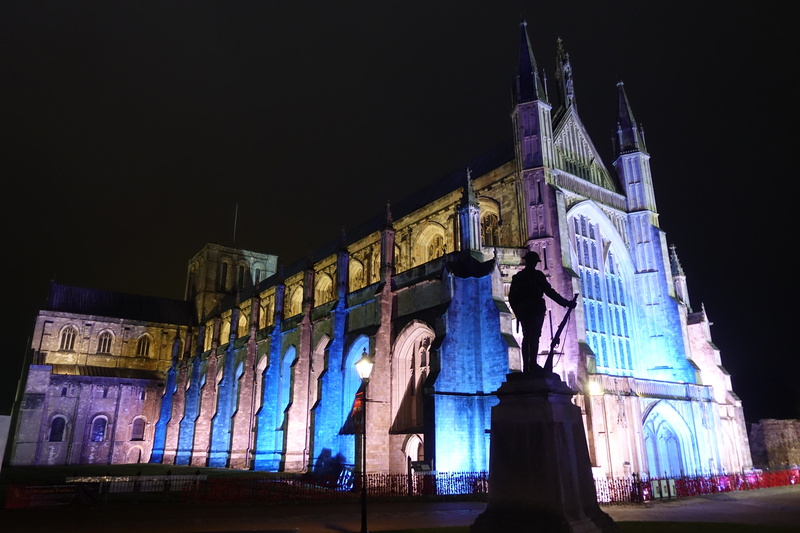 This weekend saw pretty dismal weather outside with most of the UK beset by storms, rain or snow. 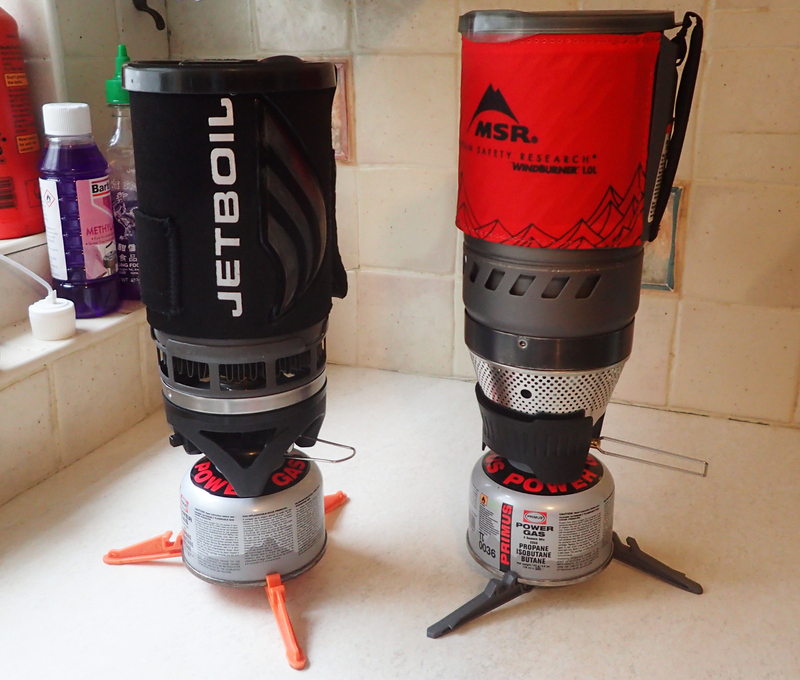 So I spent a couple of hours in the kitchen reacquainting myself with the Jetboil Flash and MSR Windburner. Both of these are integrated, all-in-one designs, everything packing away inside their respective pot. While ruthlessly quick at boiling water, attempt to do any cooking in these and you will come unstuck, which is more than can be said for the food burnt on to the inside of the pot. 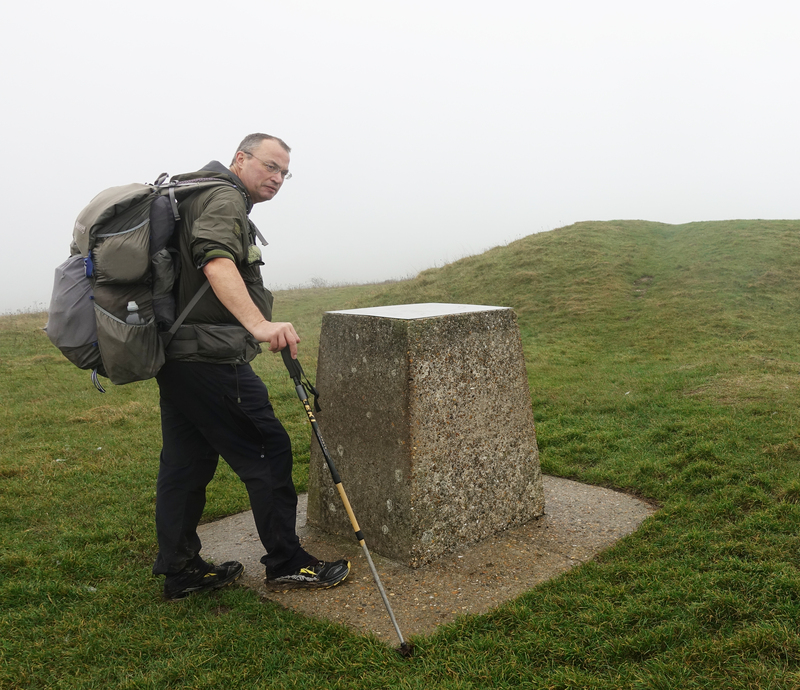 The Jetboil is good but the MSR is, quite simply, an amazing piece of kit. 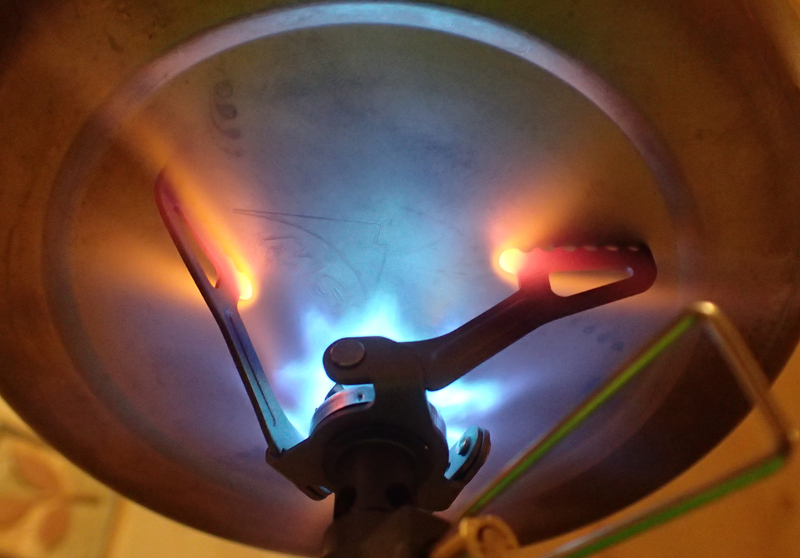 It is probably the most efficient gas stove out there at present. 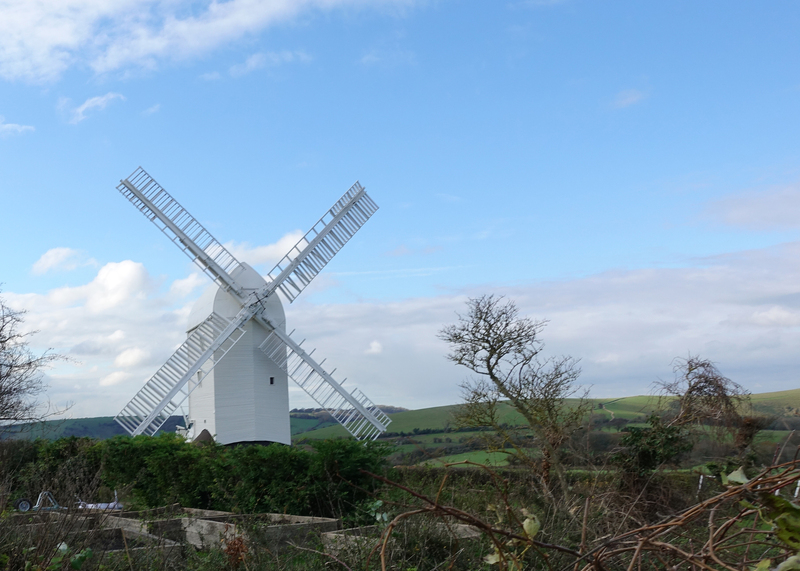 It will bring half a litre of water to the boil on just 7-8g of fuel in just about any strength of wind. For that you need to actually get it lit first, which is no great hardship despite it having no piezo igniter fitted. Also, it is most efficient when using the actual integrated pot. 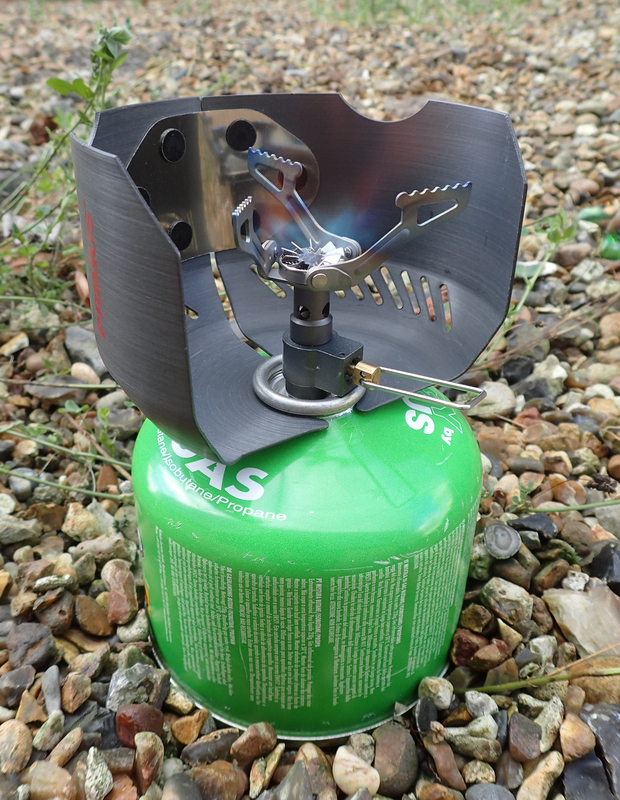 I see that MSR are releasing the Windburner as a remote canister stove but not until next year. I believe the weight increases too. 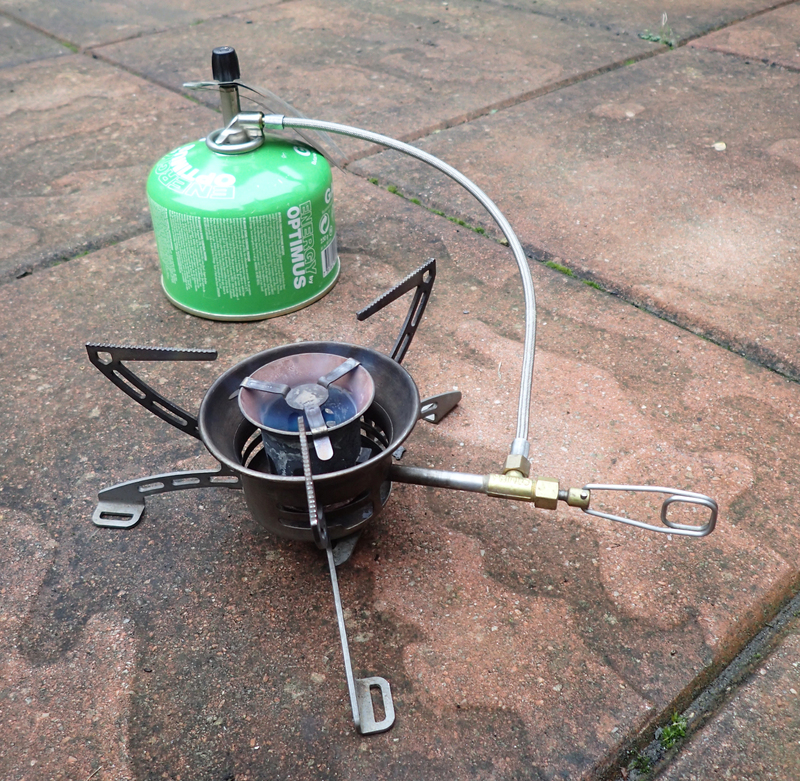 Instead, I have been looking at how my Windburner canister top stove performs when using the pot stand that is supplied with the Jetboil. I won’t bother giving all the weights for the respective kits as that is out there on the web and no-one takes every component. 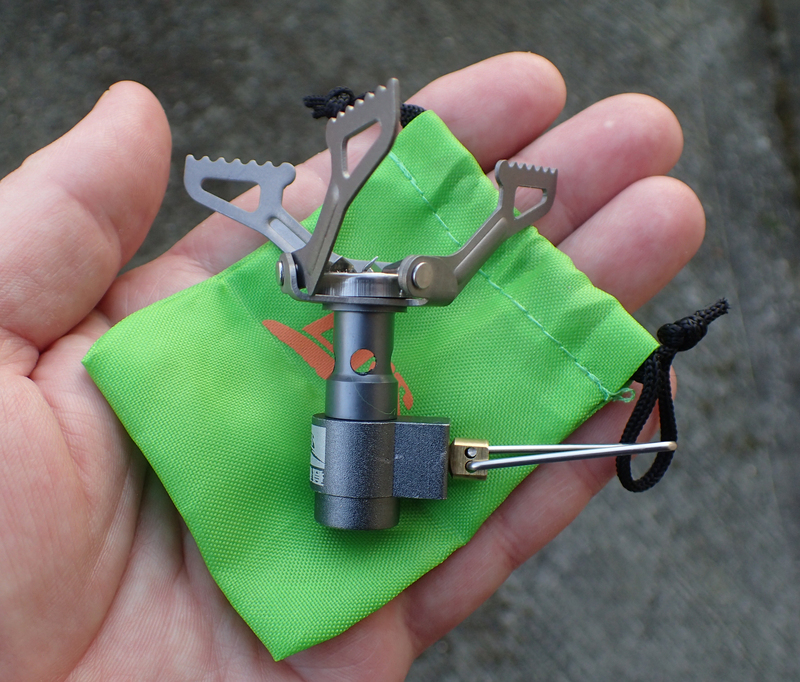 The burner head of the MSR alone weighs 200g, so no lightweight, put the folding Jetboil pot stand with that and it totals 237g. At the very least, I have to add a pot (and probably a lid) and a fuel canister (and probably a canister stand). 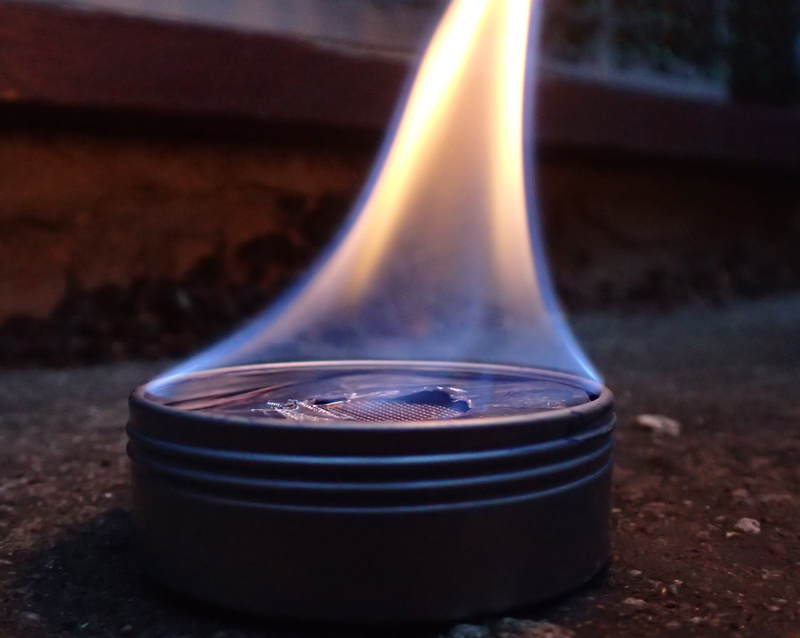 That said, I can still make a lighter set up with a lighter titanium pot or pan than when using the MSR Windburner pot. 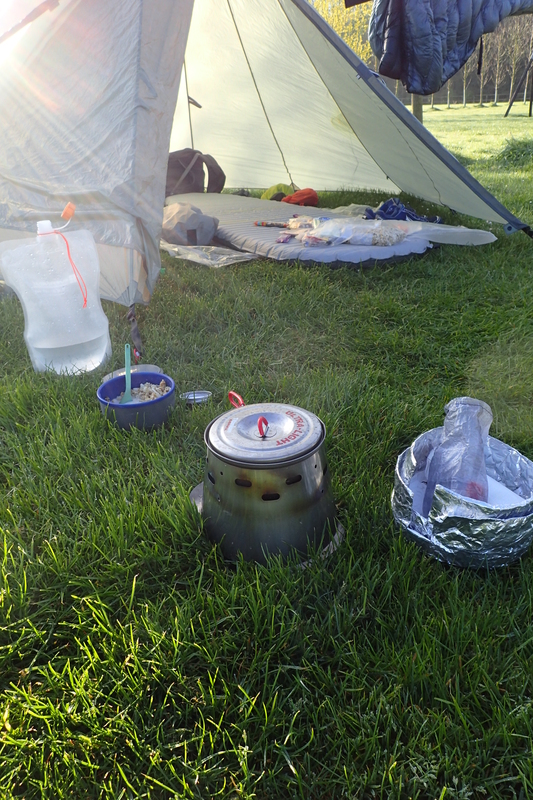 The combination of the MSR Windburner and the Jetboil pot stand work well. There looks to be sufficient room between the pot stand and the radiant burner head to prevent dangerous stifling and overheating. Obviously it is less efficient in wind than when the integral MSR pot is fitted, but this set up permits me to obtain a simmer, something impossible when used with the 1lt MSR pot that slots directly to the burner. I tried it out with my old 128g MSR Titan Kettle first. This is a classic little titanium pot with a tight fitting lid. It comes with a pouring spout which I don’t reckon to be the most efficient. 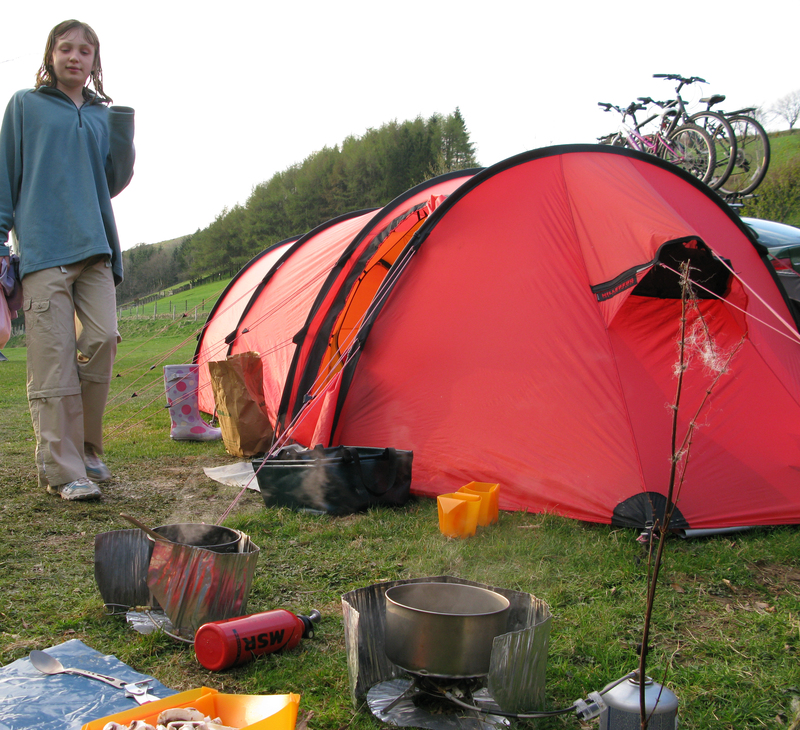 One advantage of this pot is that the MSR Windburner stove will fit inside (with lid closed) for storage and transport. However the Jetboil pot stand will not fit in also. The pot is 118mm wide and some of the heat from the stove is disappearing up the sides when in use. The 140mm wide 900ml titanium pan from Evernew that I have used for the past few years is a better option on the Windburner/Jetboil pot stand combination, allowing less heat to slip up the sides, however the stove head will not nest inside the pan. I think I am going to have to continue exploring my options a little. Time to look at the smaller gas stoves I have available and see if I prefer one of them. 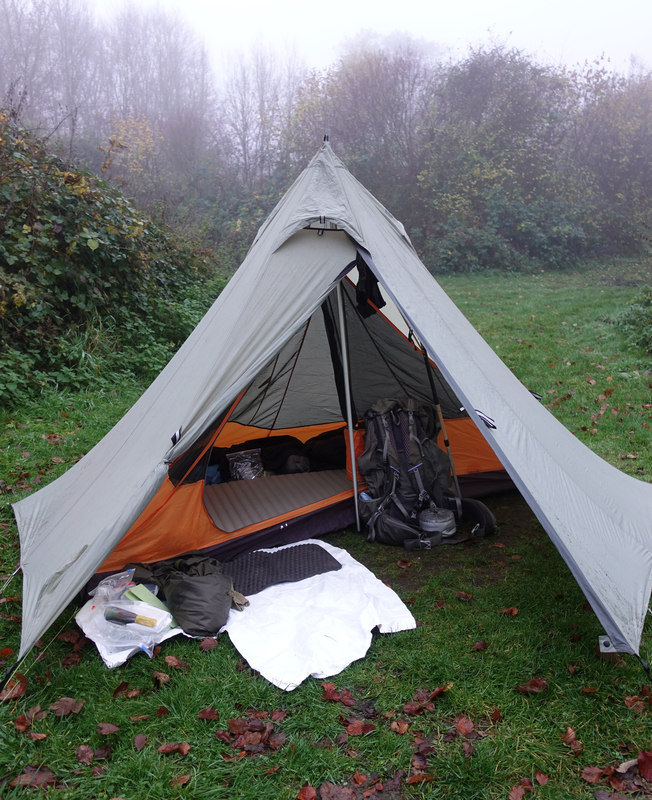 This entry was posted in Gear and tagged camping, gear, stove on December 12, 2017 by Jools. 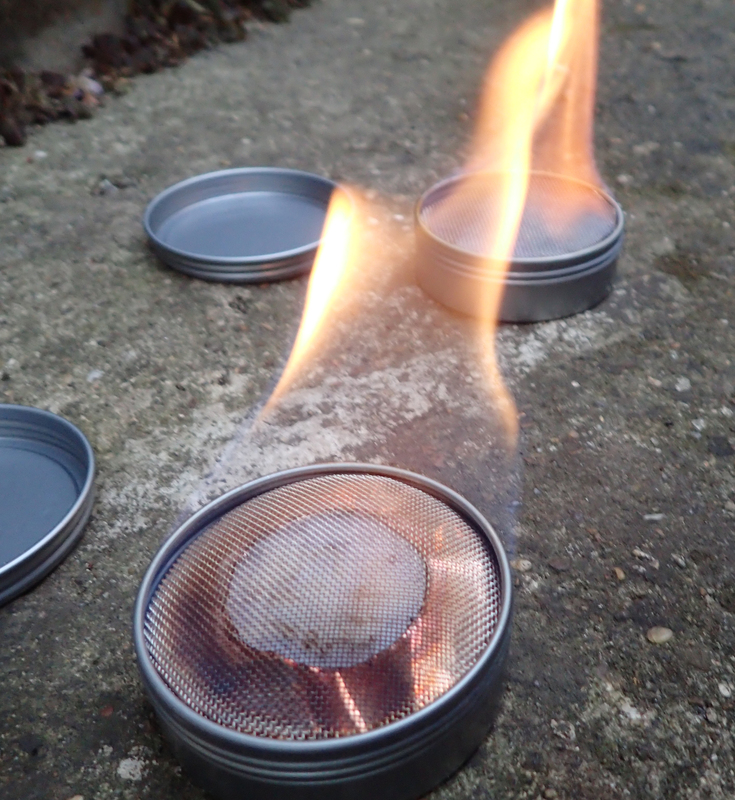 Having played around with steel tins a few days ago, and come up with my Mk II attempt at a robust, screw top, alcohol/meths stove, it was time to try out a couple of tweaks. Other than using a slightly thinner section of ceramic wadding, therefore not compressed so much, I did wonder if I could lose another gram or two by using a more open wire gauze. But found that this uses a thicker gauge wire and actually came in at two and a half times the equivalent weight. So it was back to using my first choice. My second tweak was to include a choke in the top of my stove. Mk III had a very thin 1g copper sheet disc cut and fitted beneath a wire gauze cap, while Mk IV stove had .016 aluminium sheet cut into a disc with a small square of wire gauze beneath it. The circular cut out in the copper measures 33mm diameter and was created simply by running the point of a penknife round a bottle cap placed in the centre. The hole cut in the centre of the aluminium sheet was a very different affair. Hacked rather than cut might be a better description! Having no way to hand to create this, I simply folded the disc in half and cut a half moon approx 25mm diameter in the centre with a pair of Leatherman Raptor shears. The disc, sans centre, weighs 2.4g. It was a fairly cool evening at 18° with a slight breeze. In common with my last trial with a home made stove, I didn’t use any form of windshield. Next up is to get some boil times rather than burn times. As it is, it is looking as though my Mk III is coming in as most effective in burn time and almost as light as the lightest. The tools of the job, from left to right- Mk IV, Mk III, Mk II, Mk I. Mk I was the untested disaster! This entry was posted in Food, Gear, Skill, Uncategorized and tagged camping, Food, gear, Knowledge, stove on June 27, 2017 by Jools. 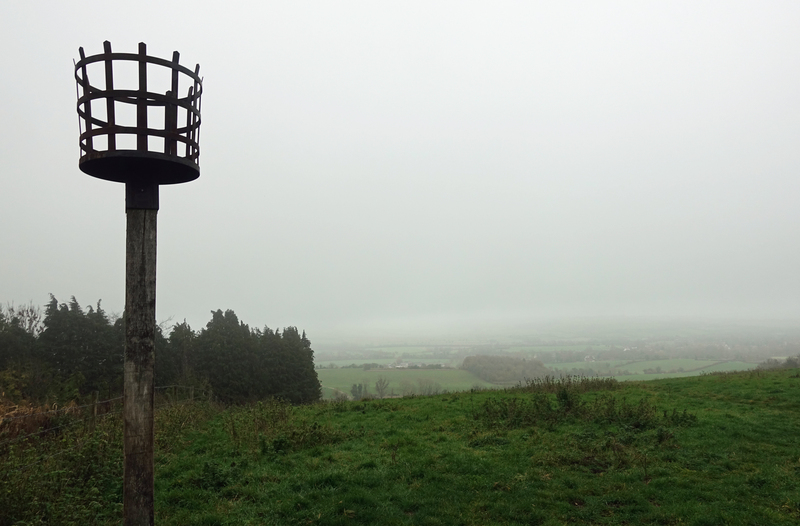 Three Points of the Compass has used stoves of various types, that have relied on a variety of fuels, over the years. In recent times I have become less fussed about all-out speed- now I simply get on with another task while water heats etc. I also don’t like noise around my campsite- my Jetboil and Primus OmniFuel are often simply too intrusive, especially on a quiet morning. Additionally, I seek simplicity. To this end, for the last couple of years I have been enjoying my Speedster Stoves. Reasonably priced and burning alcohol/meths, there really isn’t much to go wrong with these. 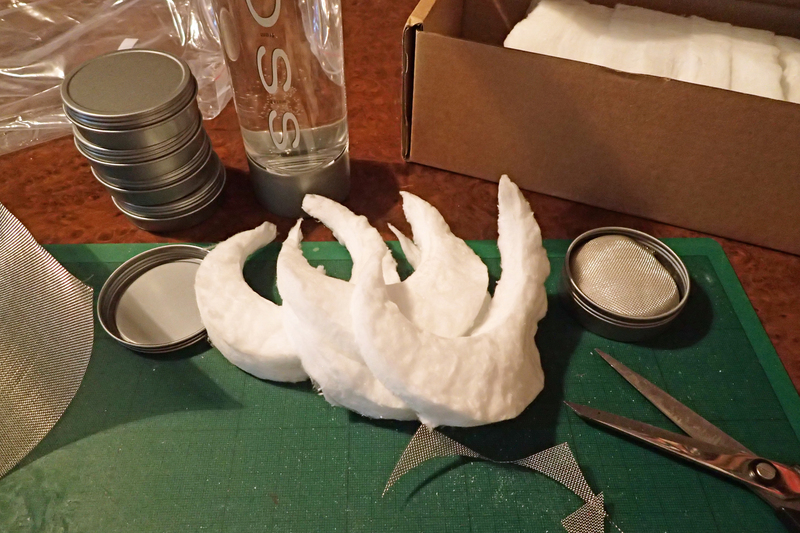 Gary makes them out of small aluminium party favour tins with some wadding inside, held down by a bit of metal gauze. They are similar to the Zelph StarLyte, but I prefer the Speedster for its screw top lid, the plastic lid on the Zelph can split. In common with a number of other users of these stoves I have found the soft metal a little problematic over time. The threads wear and the fine dust can jam, cross threading is also a more frequently encountered issue. 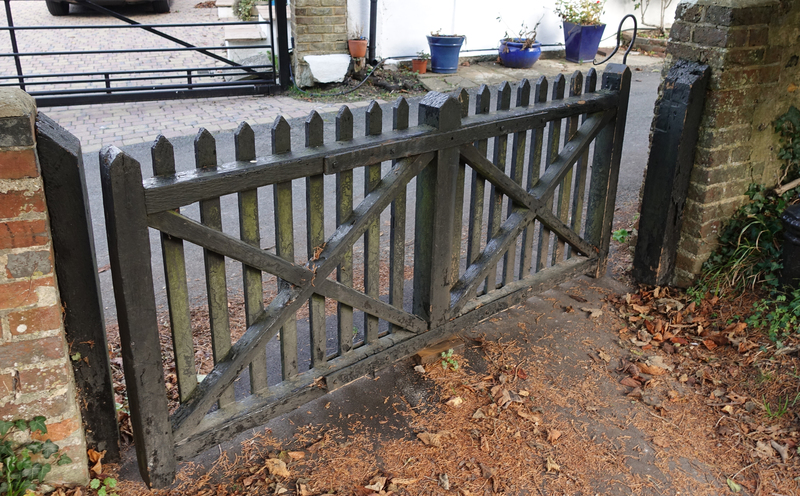 I wiped mine with copper grease which alleviated the problem a little but not entirely. 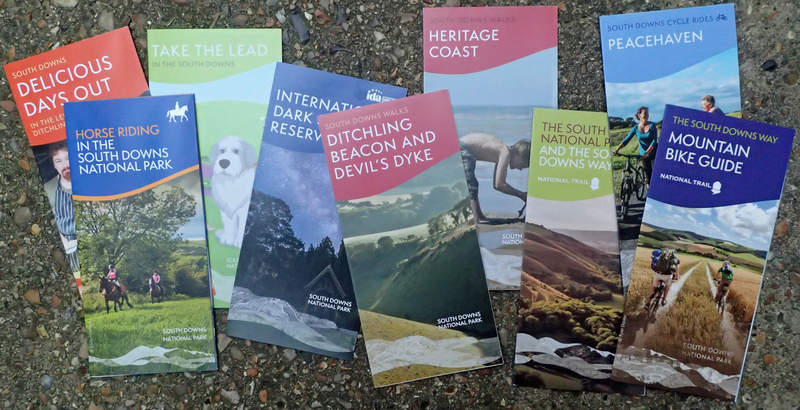 At the very reasonable cost, I could simply throw a problem stove away and buy a replacement, but with a hike of 1000 miles plus over three months to consider next year, I want a stove that is less likely to wear, so went looking for a steel version. I failed miserably so resolved to have a crack at making my own. I searched the supermarket shelves for a suitable screw top steel container that I could re-purpose. I found plenty of aluminium containers of various sizes but no steel tins. 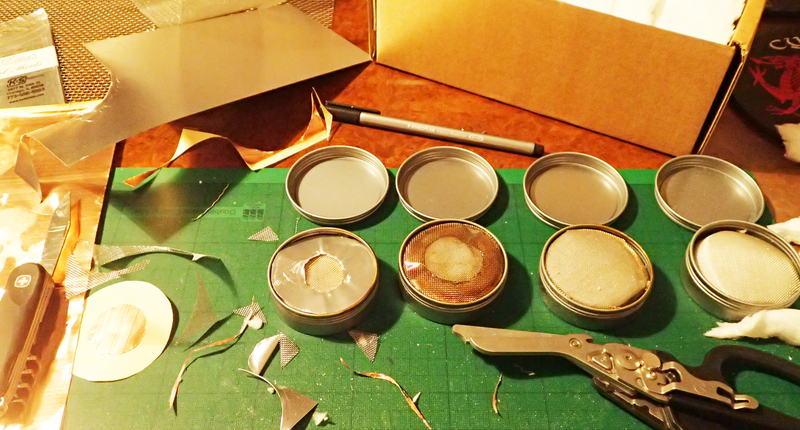 A few minutes on eBay called and I ordered a half-dozen 2oz screw top tins from the US. Each one of these weighs 21g empty. Ceramic fibre off cuts were also bought online. These are body soluble, the safer version of this type of material. 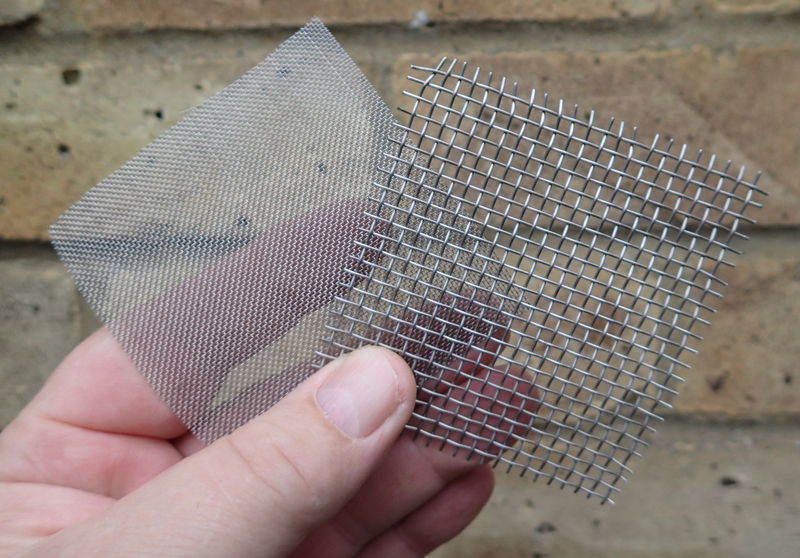 Also a small square of stainless steel woven mesh and that was it. I had all the makings required for a first attempt. Empty, my stove weighed 30.7g. When brim full of fuel, it weighs 75g. My first three burns with the stove tonight gave me between 17 minutes 15 seconds and 18 minutes 40 seconds of burn, but this was with a light breeze and without utilising my normal Caldera Cone. Air temperature was 23°. 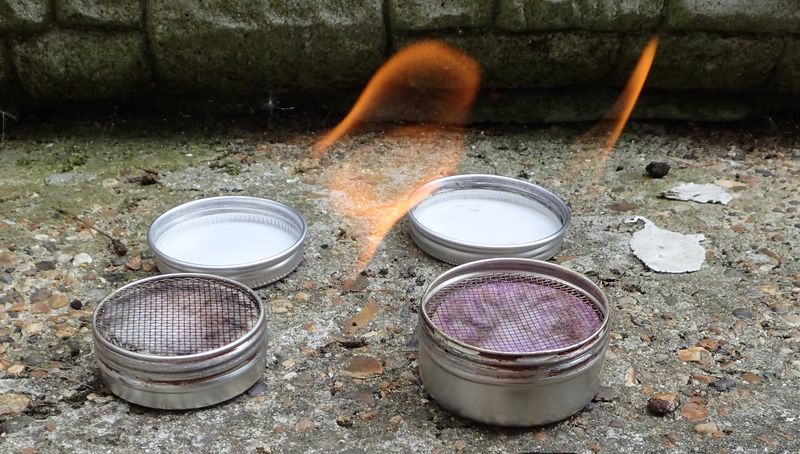 Certainly the thread on these tin plated steel tins should be more robust and hold up longer over time. This is the balance that has to be accepted with the greater weight of this choice of material. I reckon my next attempt will utilise a little less ceramic wadding and if I use a wider weave mesh I can shave off a couple more grams. I have to be careful though, I am encroaching on to the territory of the thousands of bods out there who love making their own stoves! Nothing wrong with that, but for me, Mark III or Mark IV should hopefully give me what I want. 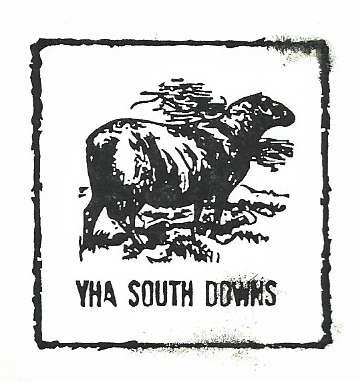 This entry was posted in Food, Gear and tagged camping, Cooking, Food, gear, Kitchen, meths, Norfolk Coast Path, Skill, stove on June 14, 2017 by Jools.